5 STAR SPRING SALE NOW ON! Save up to 40% OFF our entire range of energy efficient windows and doors or choose a new conservatory, orangery, solid roof or porch with up to 40% savings when you request a free priority quote online or you visit your nearest 5 Star Showroom. Plus we guarantee to BEAT ANY like for like quote, and you can buy now for only £99 deposit and pay nothing more until 2020 - INTEREST FREE*. Don’t miss out - make your house a 5 Star home! 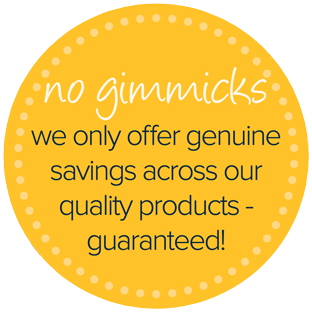 Offer includes all Conservatories, Orangeries, Porches, Garden Rooms & Solid Roofs. Buy now and pay nothing more until 2020 and pay no interest, as long as you pay the outstanding balance in full before 12 months has elapsed. If, after 12 months, this is not convenient, you can spread the cost over 120 monthly installments at 19.9% APR Representative* Click to find out more about our flexible finance options. Get your priority quote today!